A fantastic opportunity to celebrate the start of the festive season with the Welsh Tango Community. We would like to welcome you to the Welsh Tango Festive Extravaganza, Wales’ 1st International Tango Festival. The event will be run over the first weekend in December and include workshops from some of the World’s top tango teachers and performers as well as local talent plus a live music milonga ball and a chillout milonga tea dance. There will also be stalls selling clothing and shoes (ideal for Christmas presents). The event is aimed at all types and levels of tango dancer and we are sure no matter what your preference you will find something you enjoy. There is also limited opportunities to have private lessons from our guest teachers. Workshop 1. 13:15-13:50 Barrida to Soltada taught by UTN. This workshop will look at using traditional techniques to lead baridas and exploring the technique to transition into a soltada. Workshop 2: 14:00-14:50 Introduction to Milonguero style taught by Eduardo Bozzo. This workshop will introduce you to Milonguero style, a close-embrace style of social tango dancing in which was developed from and is appropriate to crowded dance floors. Workshop 5: 17:20-18:30 Followers Sacadas taught by Nick Jones and Diana Cruz. This workshop will focus on giving followers the opportunity to do sacadas on the leader and teaching the followers to take opportunities to perform the sacada. Milonga Ball: 19:00-midnight. The ball will feature two live sets from Cabaret Tango and DJing from UTN who will be playing an equal mixture of traditional, nuevo and alternative music with some festive cortinas so that everybody has something to dance to. There will also be a snack buffet provided. Workshop 6: 13:00-13:50 Introduction to Blues taught by TBC. Blues dancing shares many similarities with tango and this workshop will teach you some of basics and draw your attention to the similarities and differences. Workshop 7: 14:00-14:50 Fusion Taught by UTN. This workshop will look at the four ways to fusion dance styles together using the framework of Argentine Tango. Workshop X: 13:00-15:00 Small Group Taught by Nick Jones and Diana Cruz. This workshop will be limited to just 6 couples who will have the teachers undivided attention. Chillout Milonga Tea Dance: 15:00-18:00. To finish off the weekend a chance to dance and socialise to relaxing music. 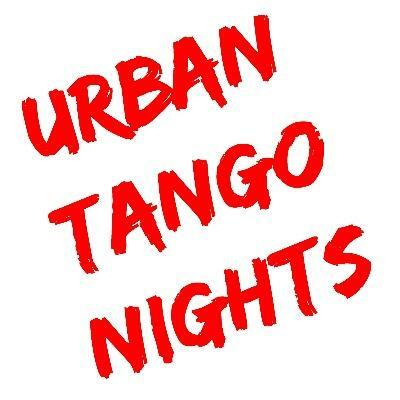 UTN will be play a range of chillout music include tango, blues, smooth modern jive plus much more. Cabaret Tango is a Bristol Based group of musicians playing an eclectic fusion of alternative and traditional tango music. Libertas Atelier Designer Dance Wear. Original dance wear with modern flair for everyday class, rehearsals, social evening, milongas and more. Refunds permitted if cancelling 1 month before the event (2nd November 2018), after this date it will be at the organiser’s discretion. Refunds will be given due to event cancellation. The University has plenty of free car parking at the weekend. During the event the University bar will be open until 1am and the shop until 10pm, both are situated in the same building as the room we will be using. There will also be a number of food outlets open around the campus. There is no accommodation included with any of the passes, however Swansea has a range of hotels situated close to the venue, the city centre, Mumbles and the Gower (ideal if you want to extend your trip and explore some of Britain’s most beautiful scenery).